Get a 30 Day Risk-Free Trial! As an ISO and reseller for Harbortouch, we offer a wide range of POS solutions for nearly every industry or business type. Harbortouch provides their POS software and hardware free with no upfront costs and a small monthly fee covers service and support. 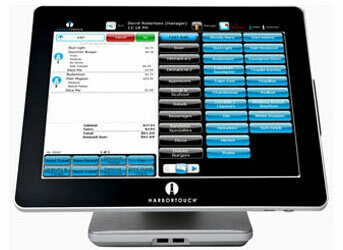 To qualify for a free POS system from Harbortouch, you must process your merchant services through Harbortouch. The advantages for you is not having to pay thousands of dollars upfront for a new point of sale system and you only have one number to call for service and support. Which Harbortouch POS System is Best For You? Harbortouch Elite is our flagship product line. 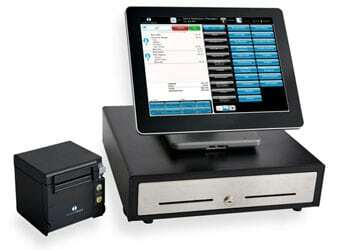 Elite includes multiple POS options for many business types and industries. 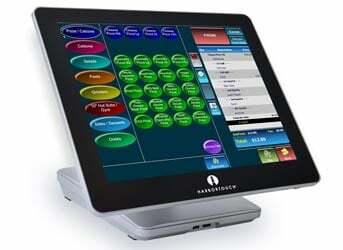 Harbortouch Retail is a dedicated software and hardware package designed specifically for retail environments of all sizes. Echo is a tablet-based POS cash register that is designed to be user-friendly, inexpensive, and robust enough for small businesses. Intended for the quick service restaurant industry, the QSR system is fast, powerful and efficient for restaurants that need speed. 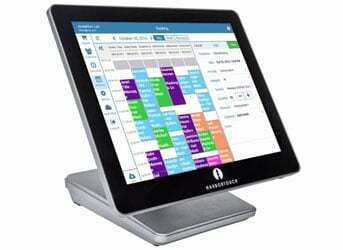 A new smart restaurant POS, Harbortouch Bar & Restaurant, was created for bars, restaurants, and the hospitality industry. Endorsed by Jon Taffer. Another new fantastic product is Harbortouch Salon and Spa. The perfect point of sale system for hair salons, nail salons, and spas. Why Choose Harbortouch Point of Sale? Purchasing a new POS system can be very expensive. We have eliminated the need to spend thousands of dollars by offering a touch screen POS terminal with no upfront costs. We encourage you to compare prices and features with other point of sale solutions, and you'll find that our prices can't be beat. 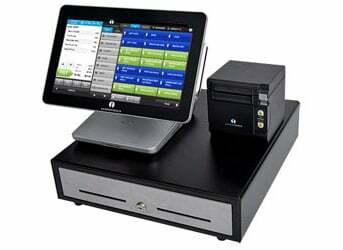 Here's some additional reasons why we love these systems and why you should consider buying a Harbortouch POS system. Don't burden your business with a huge expense. Our free POS program gets you into a new system fast and inexpensively. Get free POS software and hardware for your business that is easy-to-use, fast, reliable, and built specifically for your business type. You will receive a free full menu programming, onsite installation, and remote training when you buy a Harbortouch system. *Free install excluded for Echo. Award winning 24/7 software and hardware support from our corporate office in the USA. No overseas support number. Only 1 number to call. You can expect hardware warranty for the life of your system. Free replacement of equipment if the hardware malfunctions or breaks. Have an existing POS terminal that is outdated and need to upgrade? For qualified customers, we can potentially install a new point of sale system for NO costs for up to a year. Get 30 Days Free to Try. Get a Live Demo Online for Evaluation. The Best and Most Affordable Solutions. Free POS Software and Hardware. We submit your completed paperwork to our underwriters for approval. Approvals take can between 24-72 hours. After approval of your paperwork, you will be assigned a dedicated representative who will oversee the onboarding process. 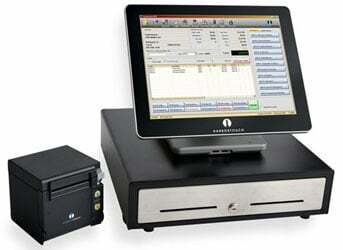 You provide a copy of your menu (hospitality) and inventory (retail) and we program your information into the system. The programming time typically takes 2 to 4 weeks depending on how quickly we receive the menu/inventory information from you. We schedule a date and time to do the install, preferably on a slow business day. A Certified Installer will be there to install your system. After the install, you need to schedule your advanced remote software training. We recommend doing this prior to your go-live date. You can attend weekly training sessions as much as you want. For the best experience, we recommend giving yourself and your staff some time to practice and learn the system before going live. Allow yourself 1-2 weeks at a minimum before going live. You'll want to review that the menu/inventory is completed properly, check that all system settings are defined accurately and that staff and managers are trained. It's critical that you provide all the required information and make yourself available for any communication to ensure a smooth order process and installation. If all the information is provided in a timely manner, we can typically ship out your system in about two weeks. Things that can hang up your POS order. Menu/Inventory not submitted or not complete. Network - Ensure your network wiring is complete to each terminal and that your high-speed internet is active prior to installation. Internet Service - Your business must have high-speed internet (DSL or Cable). Dial-up internet is not supported. Not being available to answer communication with our team. *Harbortouch’s free equipment and software offer requires a Merchant Transaction Processing Agreement and a Service Agreement. For complete details, please see Harbortouch’s Terms and Conditions. Shipping costs apply for all equipment. Harbortouch is a registered ISO/MSP of First National Bank of Omaha, 1620 Dodge St., Omaha, NE - Member FDIC.